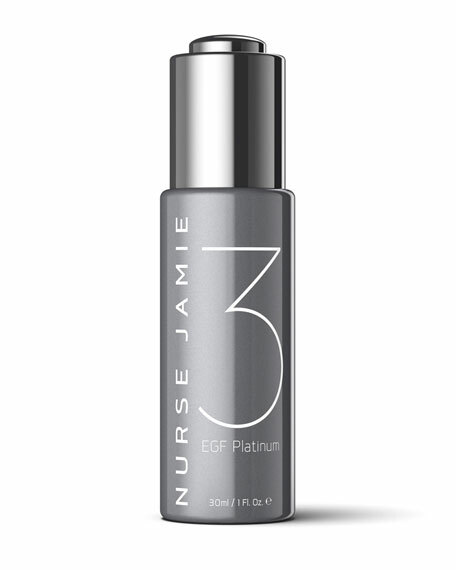 Nurse Jamie EGF Platinum 3 Restorative Facial Elixir, 1 oz. Nurse JamieEGF Platinum 3 Restorative Facial Elixir, 1 oz. This "scene-stealer" is a luxury facial elixir of essential oils that restores skin to a healthier revitalized complexion. 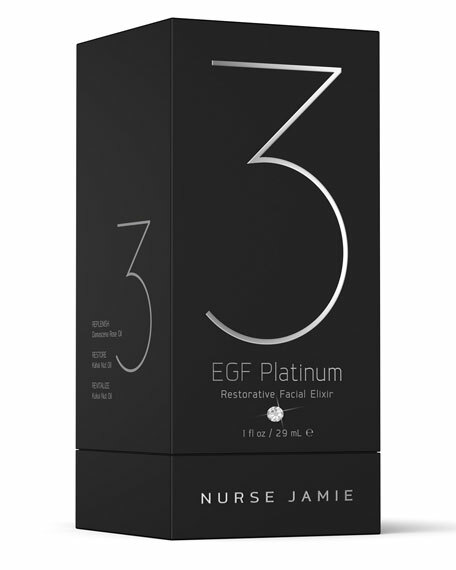 The EGF Platinum 3 is a nutrient-infused blend including 3 active essential oils specially formulated to deliver increased hydration and moisture. Each droplet releases a power-packed complex to restore, refine and perfect skin's natural radiance.